Although the Constitution is not something people readily look to today, it is still the legal document by which our government must abide. However, what happens when both parties ignore this sacred document on simple desire to achieve their goals? Think about temporary people attempting to create permanent change in the way the government interacts with you. These growing fears of government overreach and endless power-grabs have led to a new era and desire to understand the constitution. 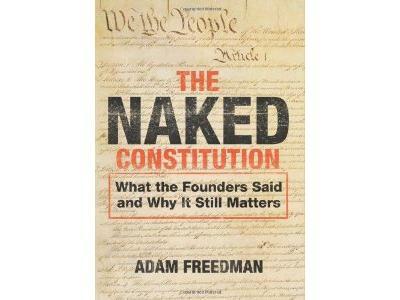 Adam Freedman authored The Naked Constitution for this very reason. The book does a great job of analyzing the ways in which the government attempts to usurp power all under the guise of “fairness” or the “betterment” of all.